You may have heard the 'cryptocurrency' buzzword before but have your reservations. However, these two Durbanites have found huge success through trading crypocurrency. I caught up with a very young and prominent Durban businessman to find out more about his company, which is involved in cryptocurrency trading. 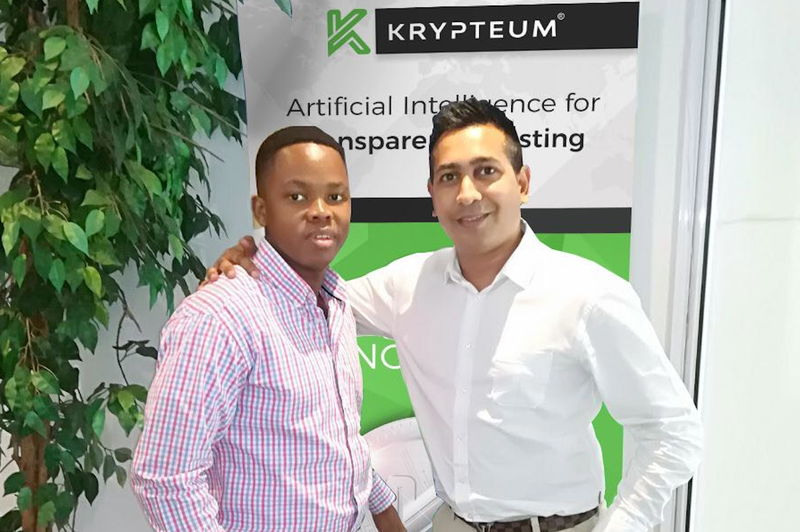 Krypteum is run by Sandile Shezi and Previn Reddy; however, this is just one of their many successful businesses in Durban. Sandile has won the title of being South Africa’s youngest multimillionaire. Being exposed to poverty from a young age, it motivated him to be successful. He is the proud owner of the Global Forex Institute and is established as a high-risk forex trader. The business is known as the best forex training institute in South Africa and caters for the lower income bracket. Also starting from humble beginnings, Priven grew up without the luxuries of most teenagers. His passion for technology, people, and his determination to be successful catapulted him to where he is today. He is now the CEO of Kagiso Interactive Media, which has been voted one of Africa's leading advanced mobile app development companies and Priven is also known as one of South Africa’s youngest self-made millionaires. Both Priven and Sandile will soon be offering a free seminar in Durban to explain more about the new digital currency that is fast becoming a worldwide investment.